Investment News, a weekly national publication for financial advisors, recently published an article titled “Sinking At Retirement” by Greg Iacurci. The article maintains, “Current market conditions bode horribly for near-term retirees.” Many baby boomers, including some of our clients, are planning to retire soon. Should pre-retirees on the verge of retirement be concerned about the impact current market conditions may have on their long-term retirement prospects? The answer to that question may depend on whom you ask. According to the article, “the “worst” time to retire is when stocks have run for a while without an intervening bear market…” Our current bull market is over nine years-old, and many pundits are calling for a bear market to occur soon. Michael Kitces, partner at Pinnacle Advisory Group, and a noted blogger and educator in the field of retirement planning adds, “We’d view this as an elevated-risk time for retiring.” Adding to the concern of high equity market valuations for retirees is the historically low bond yield environment we have faced for the past several years. Bonds have traditionally played a significant role in the portfolios of retirees, providing both modest returns and safety. The specter of a looming bear market highlights the impact of sequence-of-returns risk for retirees. Sequence-of-returns risk is the risk posed to a retiree withdrawing from an investment portfolio during a bear or zero-return market, leading to declining market values of equities and investment portfolios. Theoretically, an individual retiring at the wrong time, i.e. the beginning of a bear market, might never fully recover from that bear market because of the need to take withdrawals from the declining portfolio for retirement income purposes. Ultimately, the retiree could run out of money earlier in retirement, or face the prospects of lower retirement income throughout the entirety of retirement. As an example of the impact of sequence-of-returns risk, Michael Kitces references the time period from 2000 to 2013 where returns for the S&P 500 were essentially zero, as measured solely by the index’s market value (and ignoring the impact of dividends). The years from 2000 to 2010 are frequently referred to as the “lost decade” by some in the investment industry because of the poor returns of the S&P 500 index. Drawing on retirement portfolios for retirement income during zero return, or negative return periods of time, like the “lost decade”, exposes retirees to the risk of depleting accounts too early or forcing retirees to live on less income coming from portfolio withdrawals . The arguments advanced by Mr. Iacurci and Mr. Kitces in the article contain two glaring holes. The first mistake is considering only domestic equity markets when analyzing equity market risks. Even novice financial advisors know the importance of investment diversification in managing risk and providing more consistent investment returns. While large cap stocks (represented by the S&P 500 index) in the United States may have provided no returns for a decade , other equity markets provided significant returns in that time period. U.S. small cap stocks produced a 6.35% annualized return over the same decade. Developed International markets lagged with a 1.17% annualized return over the same time horizon, but emerging markets produced a hefty 9.78% annualized rate of return. Domestic bonds produced a steady 6.33% annualized rate of return over the same decade. Focusing on the poor performance of one asset class, like US large cap stocks in the past decade, is a tactic used frequently by professional annuity salesmen who often use fear to sell their annuity products. The second error is the argument that the “worst” time to retire is at the end of a bull market run. Once again, any financial advisor with a rudimentary understanding of managing investment risks and returns will have pre-retirees and retirees positioned correctly to avoid the disastrous consequences of a prolonged bear market on retirement portfolios. The addition of bonds and other equity asset classes to a retirement portfolio would actually help lock in gains from a bull market, not expose the retiree to greater risk as the author argues. Despite the current market conditions that Mr. Iacurci and Mr. Kitces reference, there is reason for optimism for those on the precipice of retirement today. One reason for optimism is that we have enjoyed the previously mentioned nine-year bull market here in the United States leading to healthier investment portfolios for many pre-retirees. Additionally, we have experienced strong investment returns in both developed and emerging international equity markets in recent years. Another reason for hope is that interest rates here in the United States are moving closer to historically normal rates. Retirees are likely to see higher returns from the bond component of their investment portfolio in the near future. Higher bond yields can help compensate for anticipated lower equity market returns. One solution offered in the article is to reduce exposure to market volatility by adding annuities to retirees’ portfolio mix so that retirement income is negligibly impacted by stock market downturns. Annuities are insurance instruments that turn a lump sum of money into an income stream. For the right retiree this can be a viable strategy, but there are several problems with annuities that are often overlooked. Annuities eliminate one type of risk for retirees, market risk, but expose them to several other risks including liquidity risk and purchasing power risk. With income producing annuities, retirees give up control of a portion of their investable assets to produce an income stream similar to pensions, and this results in a lower amount of liquid assets for the retiree. Income producing annuities also have a very poor track record of providing income streams that keep pace with inflation. The income provided by an annuity may provide adequate income in the short term, but run woefully short of the income needed ten or so years down the road because of the eroding effects of inflation. Finally, retirees should be cautious in purchasing an income-producing annuity in lower interest rate environments because the income stream will be lower than in higher interest rate environments. 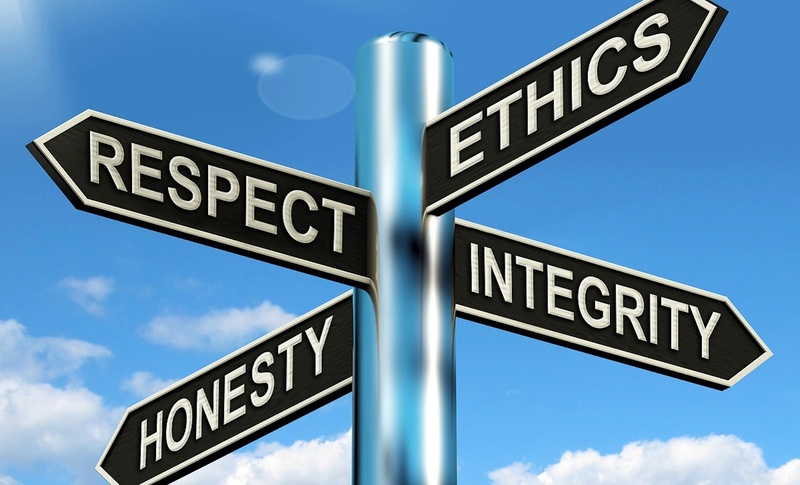 At Bollin Wealth Management, we believe there is a better approach. By setting aside anywhere from six to eighteen months of living expenses in cash, and investing the remainder in a highly-diversified, low-cost, moderate risk portfolio we can eliminate and/or mitigate many of the risks faced by retirees without incurring any liquidity risk or erosion of purchasing power (inflation risk). By constructing portfolios with investments that do not move in conjunction with each other, our retiree clients enjoy peace-of-mind retirement with consistent income and low market volatility. Retirees should not time their retirement decisions based on economic or market conditions. With the proper planning, any time can be an attractive time to retire. 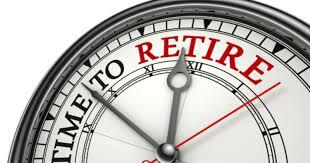 Call the financial planners at Bollin Wealth Management to review your retirement plan today!